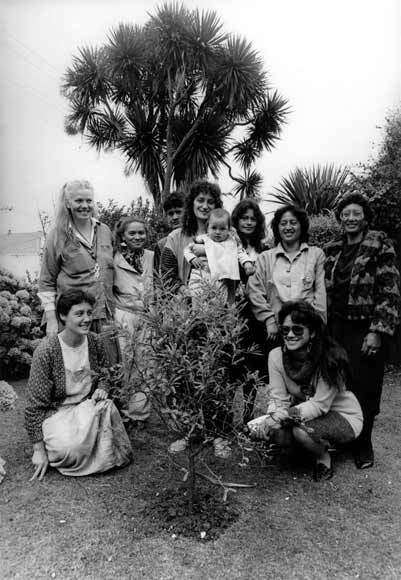 Collective members and supporters of Te Whare Pounamu, Dunedin's women's refuge, celebrate its opening in 1990. Te Whare Pounamu helps women get protection orders, access legal aid and deal with police and government agencies. It also supports women in court and when meeting with lawyers, and provides budget advice, counselling and accommodation. Any woman can contact the service for assistance, which is given for as long as needed, and whether women remain in the community or in the refuge itself.